A fabulous surprise for a navy veteran! 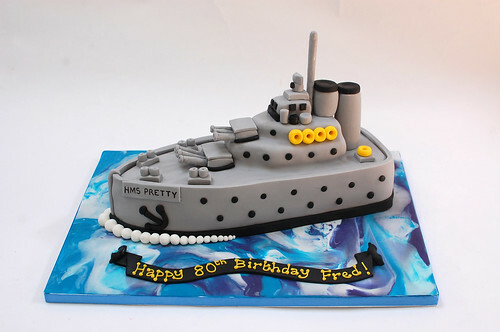 The World War 2 Battleship Cake – from £90. Dad was really impressed with his 80th birthday cake a real talking point at his birthday celebrations. The old sea dog had tears in his eyes. Tasted fantastic to.